1. Record-setting rally: In case you haven't noticed, the U.S. market (and many other global indexes) are in the midst of a major bull market rally. And stocks look set to continue their red hot run on Black Friday. U.S. stock futures are pushing up. If they hold onto their gains when the markets open, we will see fresh record highs from the Dow Jones industrial average and S&P 500. On Wednesday, the Dow and S&P 500 closed at their highest levels ever. Markets were closed on Thursday for Thanksgiving. 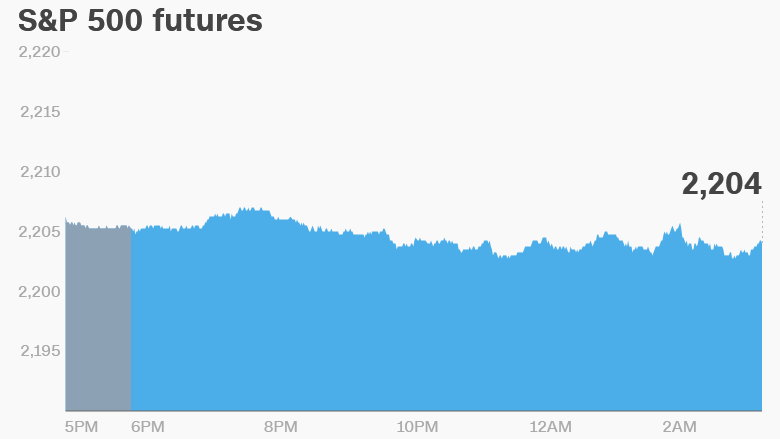 U.S. markets will close early on Friday because of the holiday. Trading stops at 1 p.m. ET. 2. Global stock market overview: European markets are mixed in early trading. Asian markets ended the week with decent gains. 3. Oil prices slide: Crude oil futures are sliding a bit Friday, down roughly 1% to trade around $47.50 per barrel. Traders are looking ahead to a major OPEC meeting next Wednesday when some of the largest oil-producing nations will try to formalize an agreement to cut production from record high levels. Getting all major players to agree on a plan has been difficult in the past. A significant cut in production should help taper supply and boost prices. 4. U.K. GDP update: New official data confirm the U.K. economy grew 2.3% in the third quarter, despite forecasts that it would slump after the Brexit vote. The data matched an earlier, preliminary GDP report. "While the unchanged GPD figures could point to some economic stability, concerns still remain elevated over the Brexit outcome diminishing business investment and consequently pressuring the vulnerable pound further," said Lukman Otunuga, a research analyst at FXTM. The pound is currently trading around $1.25. That's down 17% since the Brexit referendum in June.